Final Update: UTA says they will have the feedback form fixed by Tuesday, April 12 (next week). At that time, we will send out a reminder calling for comments once again. As previous comments may have been lost even if it seemed like they went though, we are asking that everyone re-submit their comments after the issue is resolved next week. Thank you so much for your tireless efforts to make your voice heard despite this frustrating situation. We will post an update as soon as we are certain that the comments will all be received. Dozens of Provo residents have had their feedback rejected on UTA’s website after submitting responses in support of bicycle lanes on University Ave. A coding error on the Bus Rapid Transit website’s feedback form makes it so that responses using an apostrophe send responders to an error page instead of accepting their response. We understand that mistakes happen and we quickly let UTA know about the issue through emails and phone calls. However, UTA’s website has continued to reject public feedback and has not been fixed now a week. 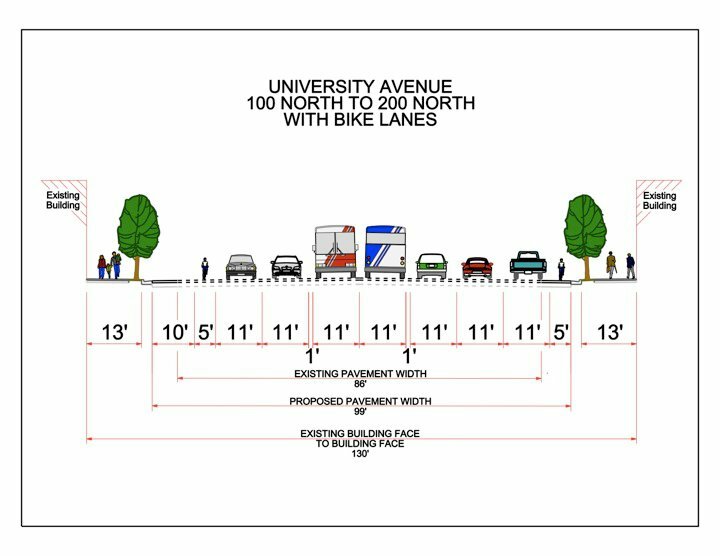 We are disappointed in the continuing rejection of vital feedback from the people that will be using University Ave. for years to come. We know of more than fifty cyclists that have had their public comments rejected. The comment link was shared between many groups on Facebook last week, and we know that there are probably many more commenters that could not get their message through. Although there are alternative ways to comment (such as tracking down a phone number), we are aware that many have become disheartened after losing their carefully written responses. Unfortunately, this is still happening today and will continue to happen until UTA fixes their feedback system. (As a side note, the coding error is a minor mistake that would be a quick fix for a programmer). UTA: Please fix the feedback form so that residents are able to publicly comment in this time that is set aside for feedback. Cyclists: We know it can be disheartening to lose your response, but please don’t give up. Submit a response with no apostrophes, email your thoughts on the project to provo-oremrapidtransit@hwlochner.com, or call Saffron Capson at (801) 415-5800 x829. If you get an error page on the feedback website, hit the “back” button and cut and past your response into a traditional email. Thanks for taking the time to provide your input on this important project! UPDATE: UTA did make a minor fix, making it so that the “Provide Feedback” form on their website now links to a page giving general contact info instead offering a feedback form. However, since dozens people have shared and are continuing to pass around the feedback page link via email and social networking sites, cyclists are continuing to access the non-working form and are having their comments rejected. The feedback form still needs to be fixed so that the people that are continuing to access it are able to share their ideas on the project.